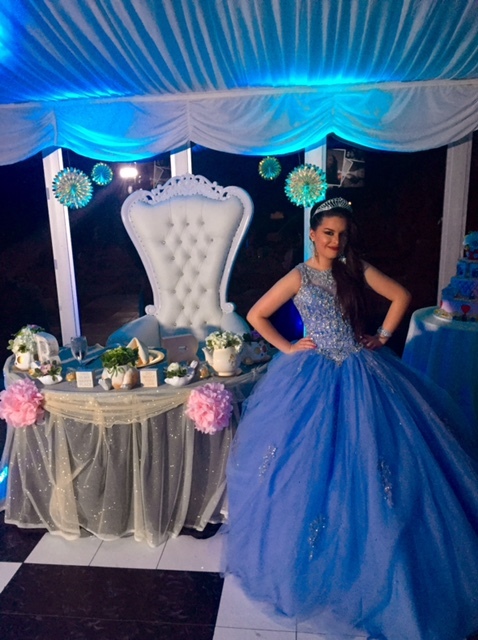 Events by Marygrace is a complete event planning company specializing in Sweet Sixteens and Quinceaneras. Myself and my team are passionate about creating beautiful events. We love being a part of such a special day for your daughter and your family. 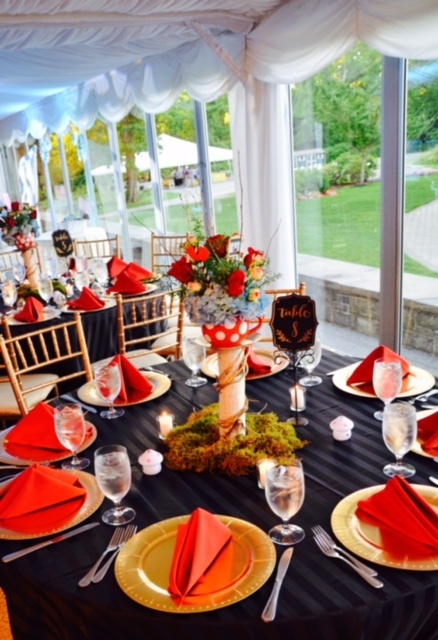 We strive to alleviate the stress that can come with party planning. 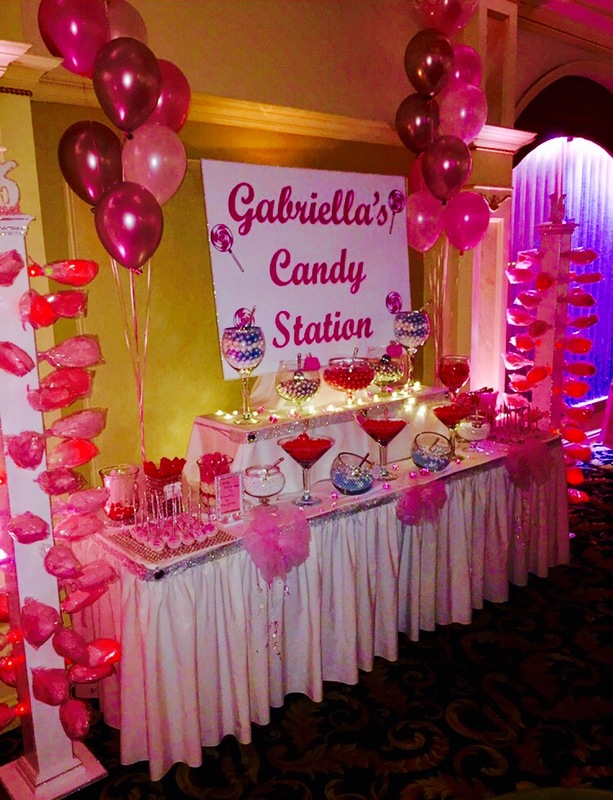 We do so by collaborating with the Sweet 16 girl and her parents to create a party theme. Then, we offer streamlined options that work within that theme and your budget. 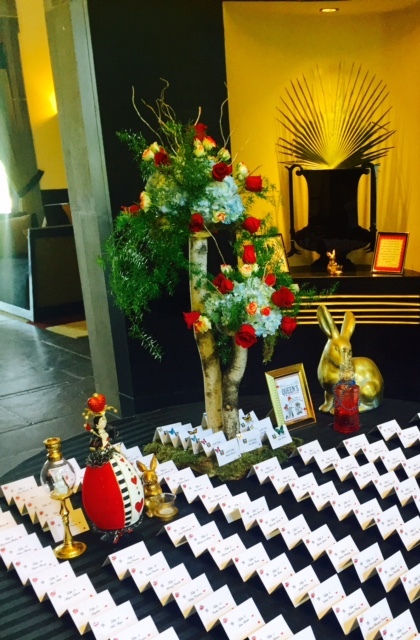 Our company is known for excellent event design. 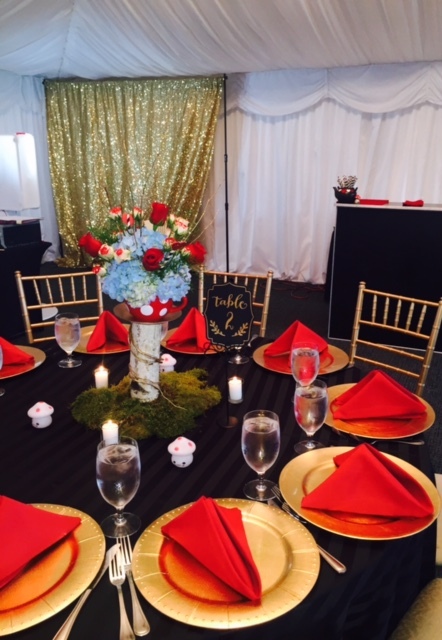 We provide decor tailored specifically for your event. 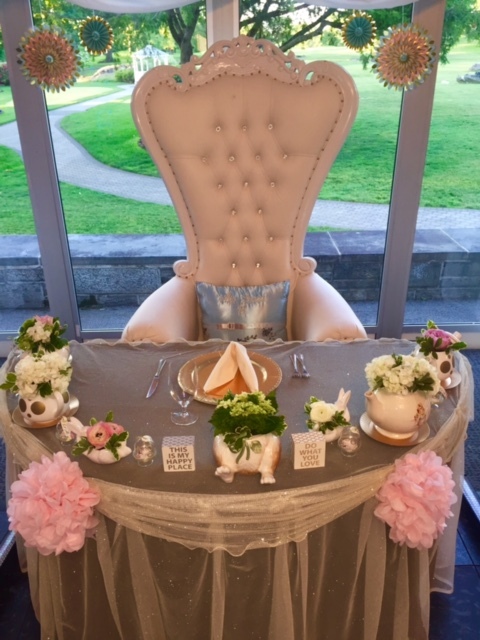 From stunning tablescapes to customized candy buffets, we will make sure every detail of the event is perfectly coodinated. Customer service is very important to us and we treat our clients like family. Our warm and friendly staff are happy to answer questions and concerns during the entire process. 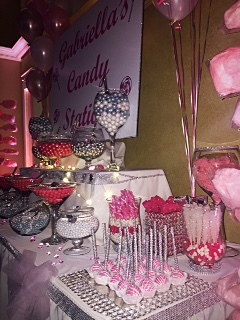 Contact us for a complimentary consultation and find out how we can bring your dream party to life! Prices and packages are based on size of event and number of services needed. Please see complete list of services below. Organization of transportation for Sweet Sixteen/Quinceanera court and family members. 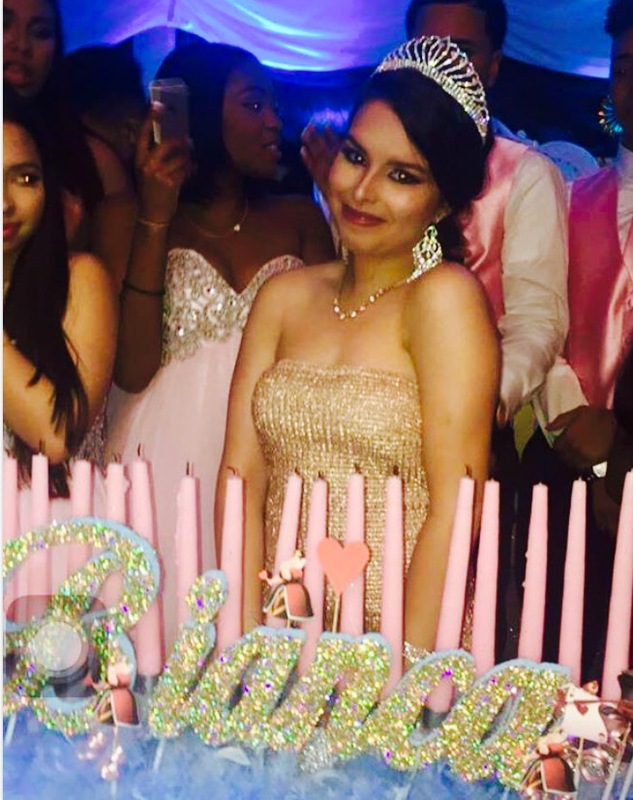 I had the honor of having my daughter’s sweet sixteen planned by an amazing and caring party planner ( Mary Grace). She made my daughter’s ideas of a Aluce in Wonderland coming to life. When we walked in to the room, we were left speechless. Looking around at this room brought a tear to my eyes!! It was breathtaking!! Wow!! That is all I kept saying. Everything was perfect. It was everything we wanted and more. She went beyond what we were counting on. She is full of kindness and energy. I am so grateful to everything she did for us!! We love her . My friends and family are still talking about our party. It was like a fairy tales come true. Thank you MaryGrace for all your hard work and for a night to remember. We love you!! I’ve worked with Marygrace several times. I’m an Event Planner as well and her quality of work is stellar. Marygrace genuinely cares about her clients vision and knows how to execute it flawlessly. She’s amazing with kids and working well under pressure is her forte! 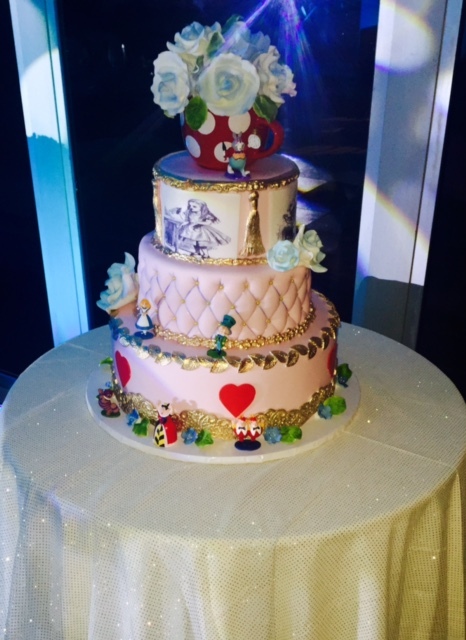 It’s not just an event for her, she creates an experience and this is what makes Marygrace a truly remarkable planner. I highly recommend her for any event!